When it comes tire alignment, TCR II Suspension Brake & Alignment is Tucson’s preferred auto repair shop. With more than 30 years of experience in providing perfect wheel alignment, our expert car mechanics do each job right the first time. Whether you need tire alignment for a work truck, a classic cruiser, a racer, or an ordinary passenger car, we can help. We have the experience, certification and advanced diagnostic tools to achieve perfect wheel alignment on any vehicle, every time. Wheel alignment means adjusting the wheels of a vehicle so they’re parallel to each other as well as perpendicular to the road. Three basic angles are used to align wheels – Caster, camber and toe. Caster is the angle of the wheel’s pivot point where it’s attached to your suspension. To ensure that your vehicle is tracking in a straight line, this angle must be exactly correct. Camber is a measure of the degree of the wheel’s perpendicular offset from the ground surface. Toe means the angle of difference between the wheel and the centerline of your vehicle. Alignment service keeps your vehicle running efficiently and safely. You’ll have less tire wear, much better fuel mileage, and a safer ride. When both the front wheels and rear wheels of your car are perpendicular to the road and each tire is parallel to the one beside it, your vehicle is well-aligned. With proper alignment, you’ll save money on fuel expenses while enjoying a smoother ride and better handling. If you’ve noticed that your tires show uneven or excessive tread wear, or if your car is pulling to the left or right, or if your steering wheel vibrates as you drive, you should call us. 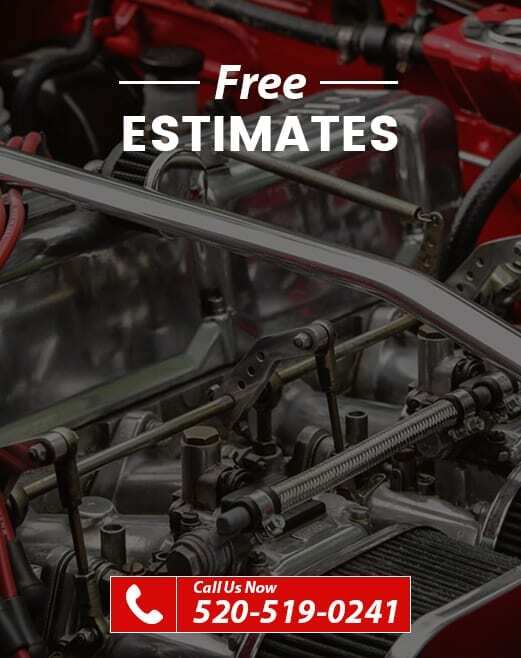 Whatever type of vehicle you drive, our skilled, certified car mechanics can provide the perfect alignment so you’ll save money on fuel and tires. Best of all, we offer easy financing so that you can afford an alignment today.